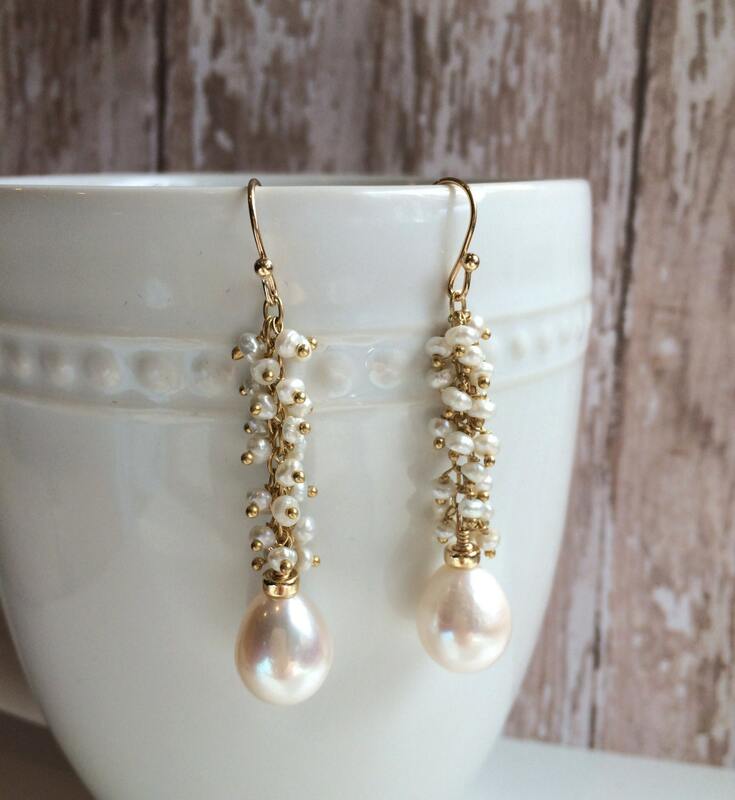 Impressive 12 mm freshwater pearls hang from dozens of tiny seed pearls wrapped on gold fill wire. 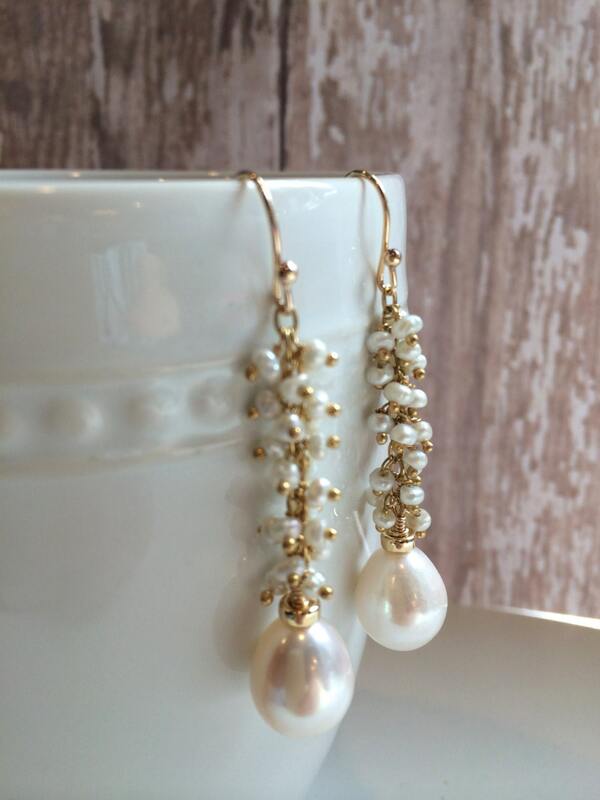 The luminosity and beauty of these pearls will make these earrings the envy of all your friends. 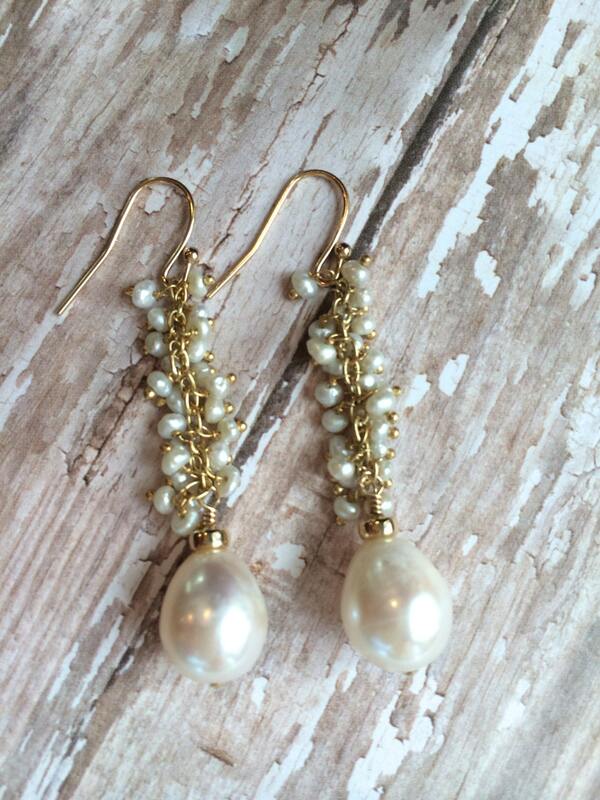 Earring length is 2" and on 14 karat gold fill french wires. 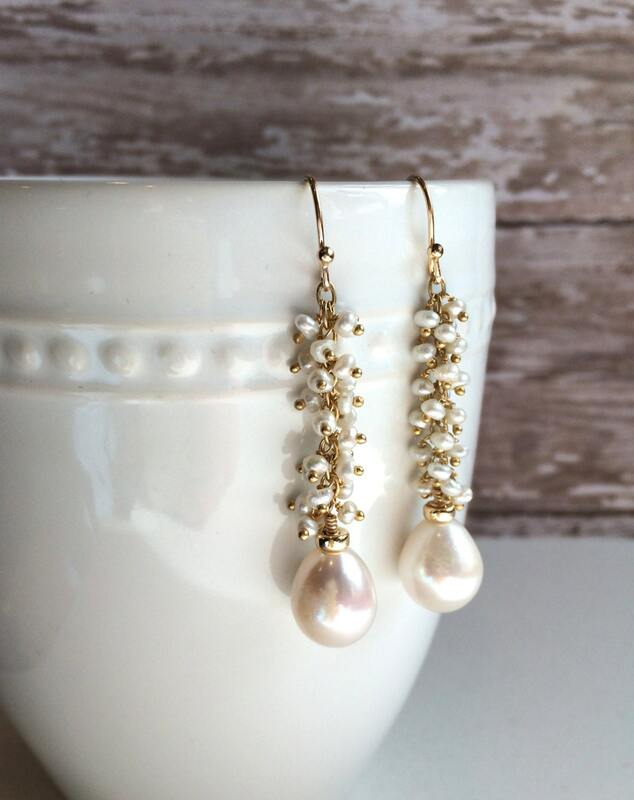 Perfect for brides, bridesmaids or special events.